In-stock and available to purchase today. 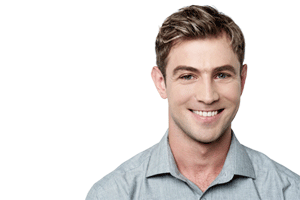 Clearance Item - Limited Stock! 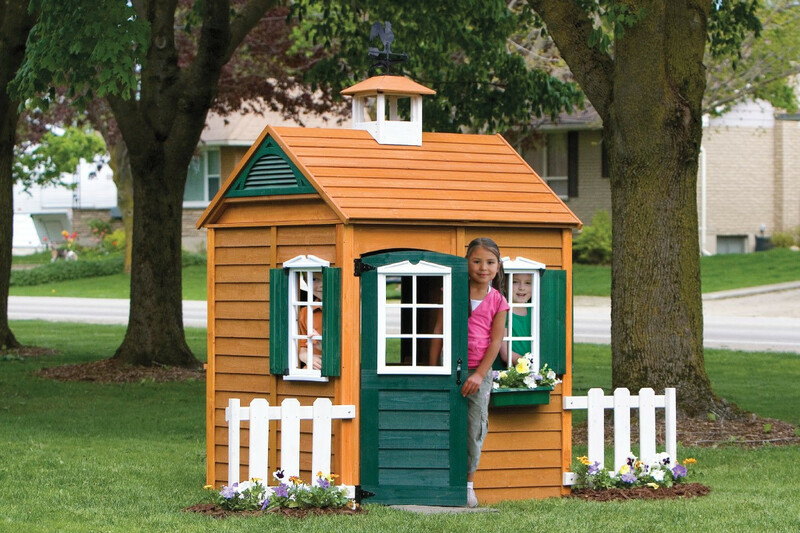 The Bayberry wooden playhouse is manufactured from cedar wood and comes pre-stained as seen in the images above. 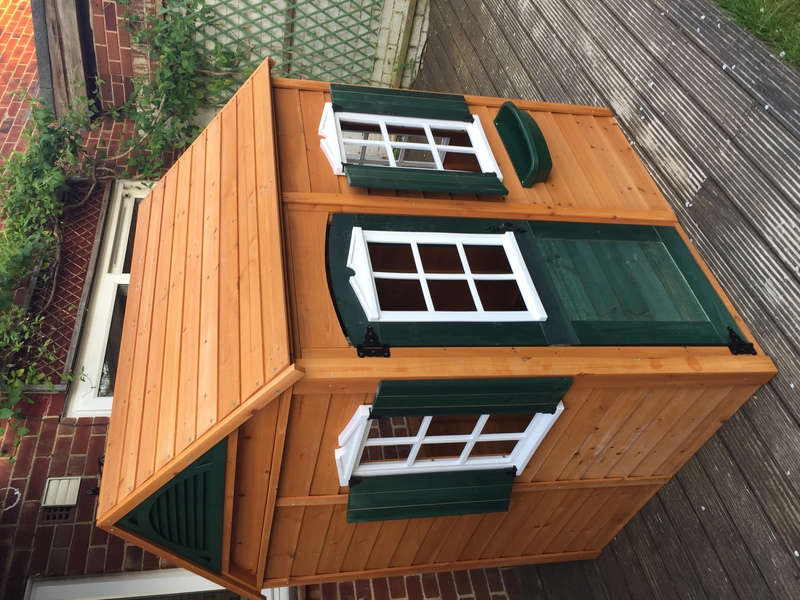 The playhouse is an attractive redwood colour and includes a beautiful white picket fence, working wooden door, window shutters and roof vents. 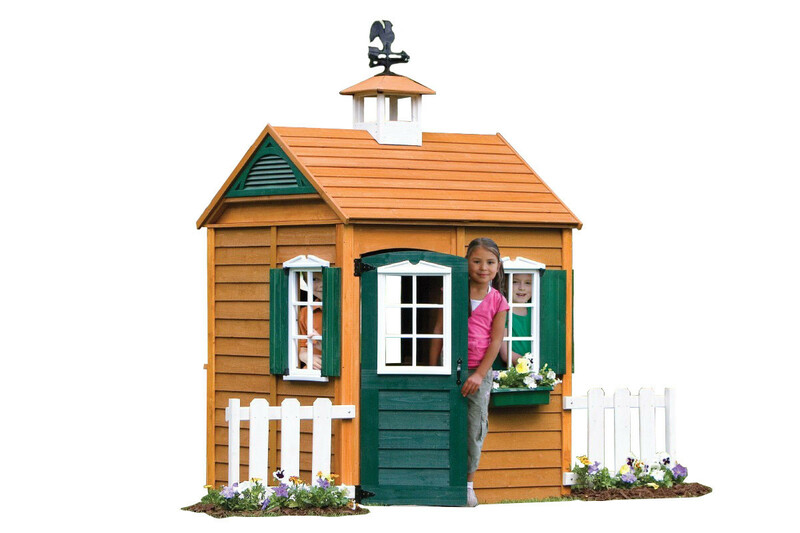 The Bayberry wooden playhouse has a door and window on the front and a window on either side. 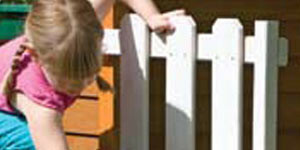 There's also a large opening to the rear that children can use as a shop window or serving counter. 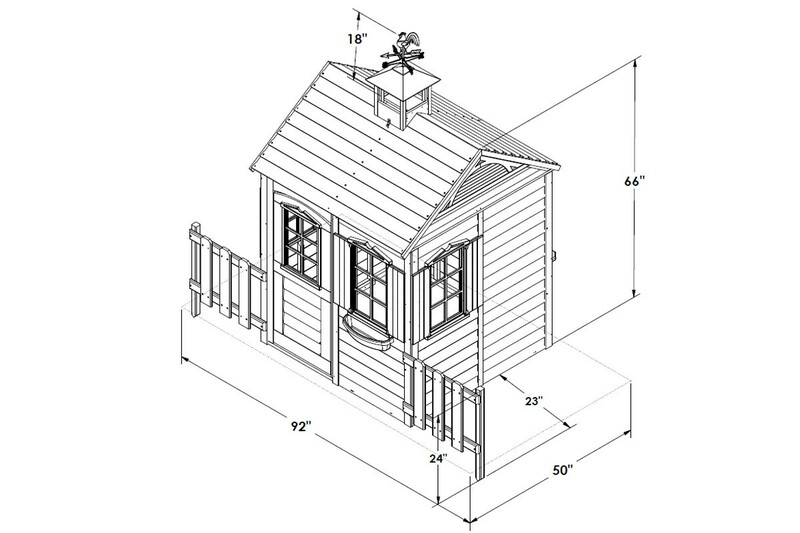 The internal height of the playhouse at the highest point is 1.64m. 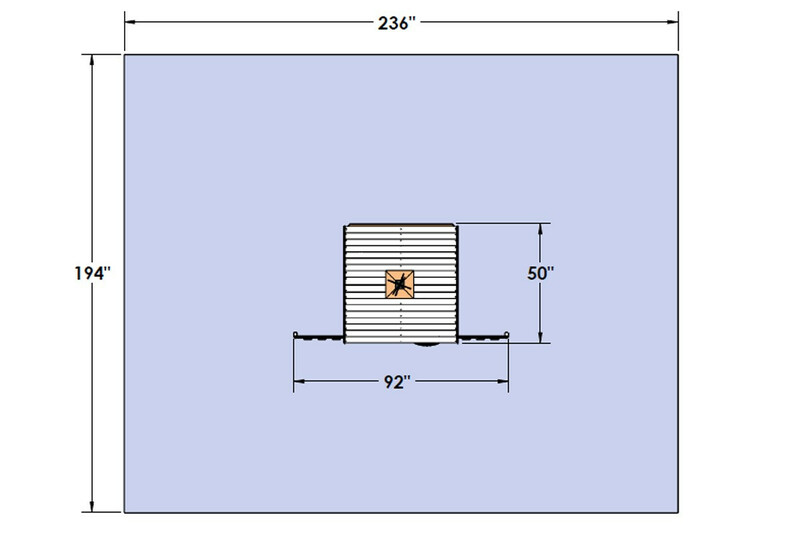 The door height is 1.12m. 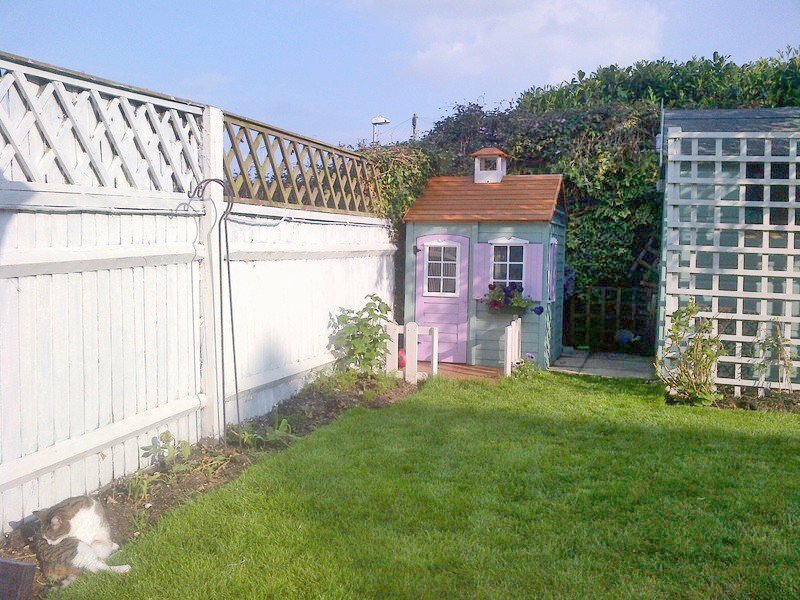 The full width including the picket fence is 2.34m. 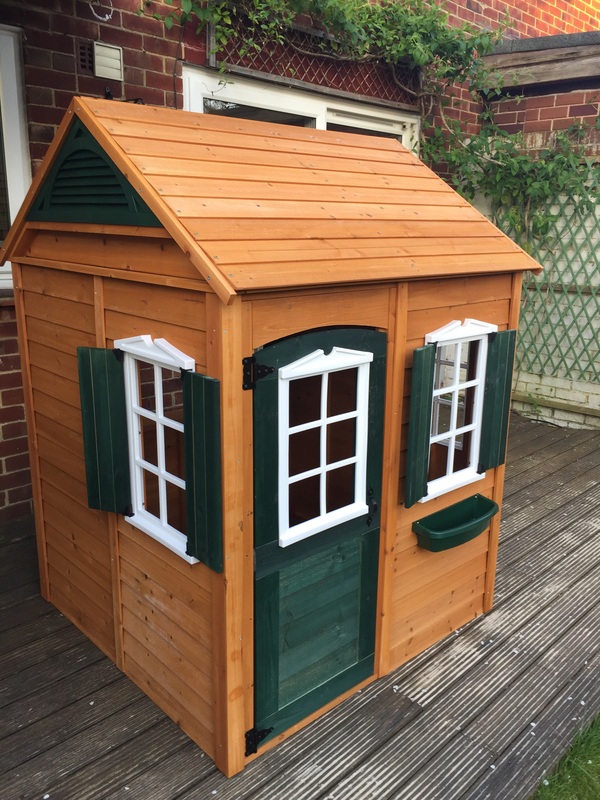 The playhouse measures approximately 1.2m wide by 1.27m in depth and does not have an internal floor. 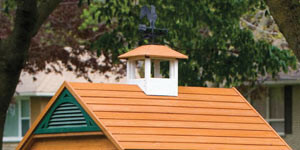 There's a fun cupola with N, E, S, W symbols and a working weather vane and the gable roof is vented to ensure good air circulation inside. The flower box is supplied and is pre-drilled with drain holes ready for your own keen little gardeners to add flowers or herbs of their own. 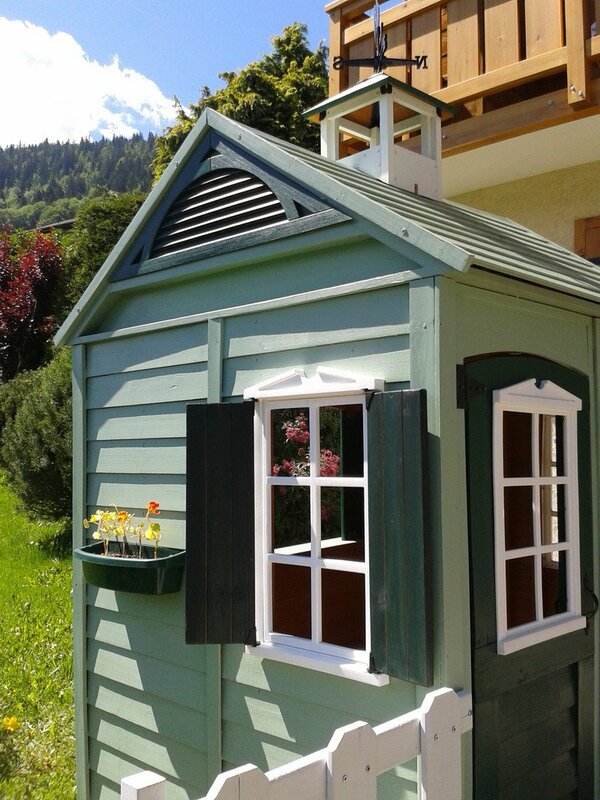 This playhouse is far superior in quality, look and finish than you will find in a 'shed' style playhouse. 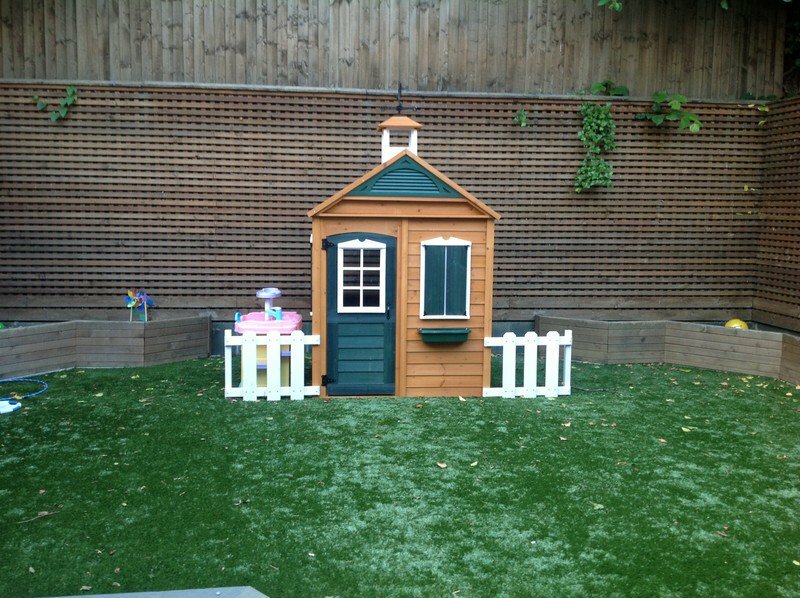 It will compliment any garden and the features will provide your children and their friends with hours of fun for many years to come. Il m'a fallu longtemps pour décider quelle maisonnette d'enfant d'acheter. Finalement j'ai choisi la maisonnette Bayberry. 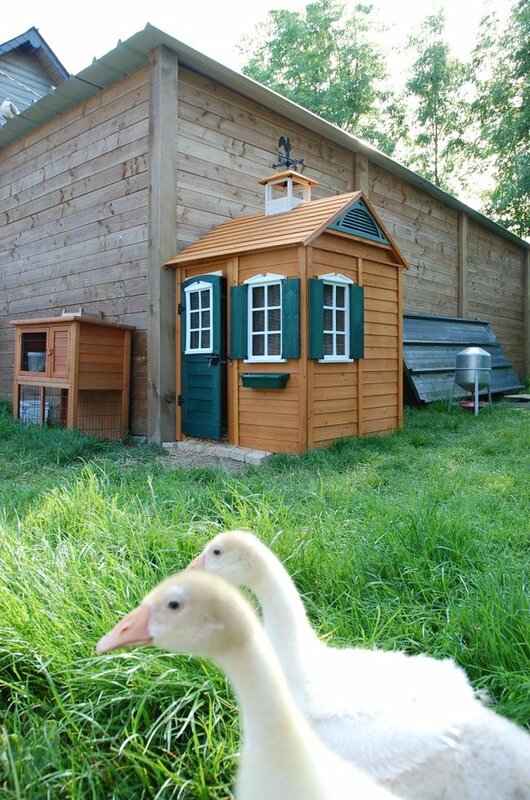 Les accessoires, comme la girouette, le bac à fleurs, les fenêtres, la clôture et les volets, sont super. Il y a aussi un passe-plats qui est utilisé par ma fille pour faire semblant de jouer au restaurant ! Elle passe tout son temps dans la maisonnette et celle-ci a un look super dans notre jardin.